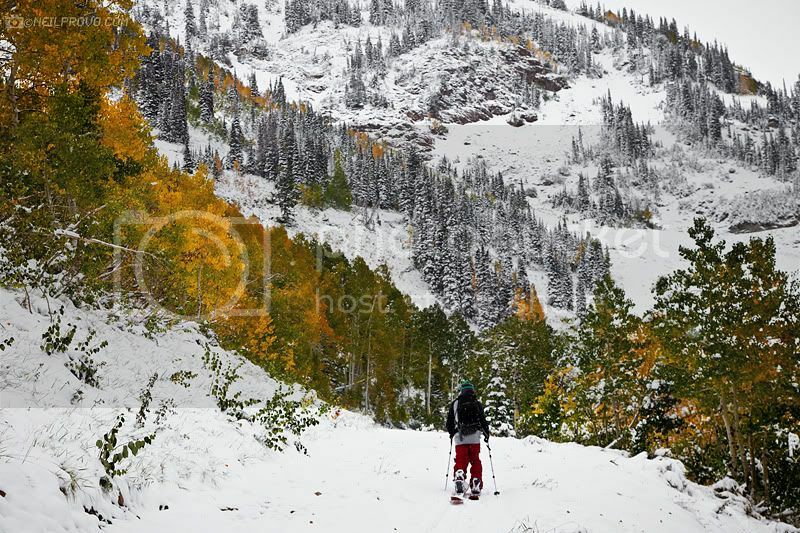 Its early October and the first blanket of snow has been laid upon the Wasatch mountains. I couldn't help but go poke around and find some powder! Good friend Nick Russell and i headed up to Snowbird for a hike on the splitboard through the colorful aspens, up to the snow filled cirques that the bird is so well known for. 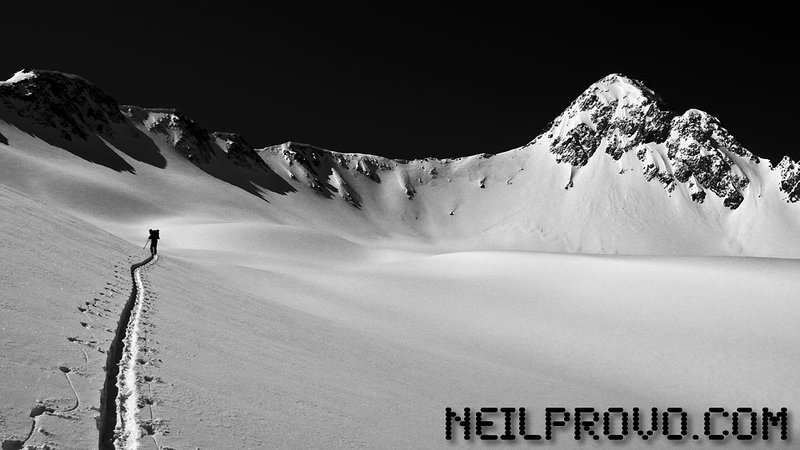 We were stoked to find some pretty good pow high up above the crowds of Octoberfest below. Nick drops in for his first turn of the season in Upper Cirque. Just a few days before i was casting dry flies out on the river in the warm sunshine, then BOOM!, winter time.